Struggling to come up with a down payment for a mortgage? You might be able to turn to online crowdsourcing, soliciting small amounts of money from several friends and family members, to gather all or part of the dollars you need. A down payment can be the biggest financial hurdle buyers face when taking out a mortgage. A 5 percent down payment on a home that costs $200,000 comes out to $10,000. That's a lot of money, especially for first-time buyers who can't rely on the equity from a home they are selling. So it's not surprising that several online companies have formed to help buyers crowdfund the difficult task of raising down payment funds. Sites such as HomeFunded, Down Payment Dreams and Feather the Nest have sprung up to help buyers request down payment gifts from friends and family members. By creating accounts with these sites, buyers can set up their own down payment registries. Friends and family members can then donate money online, with the funds usually going into Paypal or some other type of account. Home buyers treat the money just as they would a traditional down payment gift, using the funds to cover all or part of their down payment. There are possible pitfalls, of course. Buyers will have to provide gift letters stating that the money they received is actually a gift and not a loan. Buyers also might lose a portion of the funds they collect in the form of payments to whatever crowdsourcing company they use to gather their down payment dollars. For Elizabeth Jenkins, marketing and communications director with San Diego-based Source Capital Funding, the biggest drawback is these fees. "Crowdfunding platforms take a relatively big chunk of your donations, anywhere from four to 10 percent," Jenkins said. "Especially if the gifts are coming from friends and family that would have given you money no matter how you asked, you are almost wasting money by going through a crowdfunding platform." But the people behind the sites say that the idea of crowdfunding as a way to pay for a down payment is one that is steadily gaining traction. The industry is in its infancy now, they say, but is only growing in popularity. Natalie Trujillo, customer service representative with Miami-based crowdfunding site Feather the Nest, said that the way people are getting married today makes crowdfunding down payment money a better option for many couples. Many couples are getting married later in life and have already lived together before their weddings, Trujillo said. These couples once they do get married need a home. But they might not need a new toaster. They already have one. "They don't have a need for that items that have traditionally been gifted during weddings and showers," Trujillo said. "They might already have everything they need for their home. So why not ask for what they really need, money for a down payment? That is more valuable to the people signing up for our site." At Feather the Nest, clients create what the company calls a nest, which is basically a web page listing the clients' goals and giving friends and family members a way to donate dollars. To work with Feather the Nest, customers need to first create an account with credit-card processing company Stripe. Feather the Nest transfers donations to customers' Stripe accounts within 10 minutes of receiving them. Trujillo said that Feather the Nest can provide customers with letters stating that the money collected for down payments is a gift and that the recipients are not expected to pay it back. This is important; lenders require such letters from borrowers relying on gifts to make up all or part of their down payments. Mortgage lenders treat loans from friends and family members differently. These are dollars that you have to pay back, and lenders will consider them as debt. If you have too much debt compared to your income, lenders might hesitate to approve your loan request. Gifts, though, don't add to your debt totals because you don't have to pay anyone back. Customers at Feather the Nest can use their donations however they want, even if they state that they are collecting the money for a down payment. If customers don't get enough dollars to hit their down payment goals, they can use the money they have collected to buy furniture for their new home, hire a landscaping service or cover the cost of anything else they'd like, though this might not make their donors happy. Feather the Nest charges a 5 percent transaction fee on every donation customers receive. If a customer nabs a donation of $1,000 from a family member, Feather the Nest would take $50. Stripe charges an additional fee of 2.9 percent plus 30 cents. Sara Margulis and her husband, Josh, co-founded HoneyFund in 2006. Back then, the site mainly focused on crowdsourcing donations that marrying couples could use for their honeymoons. Today, though, couples can use the site to seek funds for everything from a down payment to home furnishings. Couples have the option to receive gifts offline, which wedding guests would either bring to the wedding or, in the case of checks, mail directly to the couple. HoneyFund charges nothing for this service. Couples can also elect to have monetary donations deposited directly into their own PayPal accounts. Couples who choose this option pay 2.8 percent plus 30 cents for every transaction. "Any time you have a major life event, people are more inspired to give something to you," Margulis said. "We can direct the giving toward the most salient need of your life at that moment. If you are going to get married, you are going to receive gifts anyway. For couples who really need money for a down payment, this is a smart way to capture that energy and make their dream come true." Margulis said that about 13,000 people sign up for HoneyFund every month to set up an online registry. How much these people actually collect varies on what they are requesting money for, but Margulis said that the average couple can expect to collect about $5,000 in funds from their HoneyFund account. Margulis says that HoneyFund advises couples to speak with their lenders to determine how they can document that the money they have received is actually a gift. Some of the crowdsourcing sites will create their own letters stating that the funds couples receive are gifts and not loans. Don’t think this isn’t important. You don't want to collect all that money only for lenders to reject it. That can happen if you don't provide documentation, in the form of a gift letter, stating that the dollars you've raised are gifts and not loans that you have to repay. This means that if your aunt and uncle provide you a gift of $200 that you are using for the down payment, you need a letter from these relatives stating that they don’t expect you to pay back the money. And don't think of crowdsourcing down payment money as a gift while secretly agreeing to repay those who donated. If lenders find out that your gift down payment funds are really loans, you could face criminal charges. "Buyers should be aware that lenders don't like to see any part of the down payment borrowed," said Brian Davis, a real estate investor and co-founder of SparkRental.com. 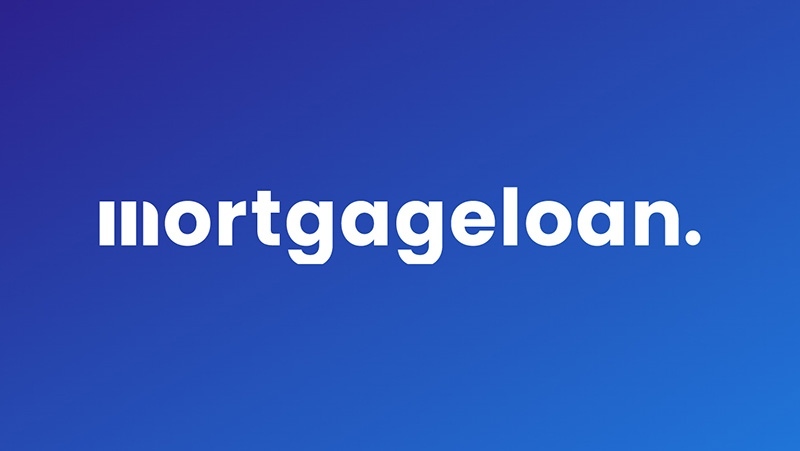 "They specifically ask, in two separate places in the Uniform Residential Loan Application, where the money is coming from and whether any part of it is borrowed. Lying constitutes fraud, and is a criminal offense." Morgan Franklin, a real estate agent with United Real Estate Lexington in Lexington, Kentucky, said that it's important for borrowers to make sure that the lenders with which they are working will accept gift funds collected in this manner. Does Franklin expect to see more of his clients turning to crowdfunding for down payments? Maybe. But for Franklin, that's a big "maybe." "As for whether or not this will take off, I'm not sure," Franklin said. "I could see this becoming part of a wedding registry, but otherwise, I don't see much opportunity for it." Howard Sherman, founder of CrowdFund Buzz, a company that promotes crowdfunding campaigns, said that the biggest problem home buyers will face is trying to generate interest among even their friends and family members. There are plenty of people making crowdfunding requests today. It can be hard to stand out, especially if you are seeking dollars for something that isn’t an emergency. "There are so many different requests for money from people who make very strong cases to help them pay their medical bills, build an extension on their home, pay for their Hawaiian honeymoon and, yes, buy a house," Sherman said. "The public at large has grown tired of online panhandling, and are less likely to back a personal crowdfunding campaign unless something truly compelling drives generosity." The alternative? Sherman suggests that people seeking down payment funds do it the old-fashioned way, hitting up friends and relatives in person for gifts or short-term, interest-free loans. Just remember that if you get these dollars as loans that you have to pay back, lenders will count it as part of your debt. "Promise epic parties, backyard barbecues and other perks of this kind," Sherman said. "To follow this path is a rudimentary and low-tech form of crowdfunding."